It's been a busy, busy week around here. ADOP suddenly went a little crazy (not that I'm complaining) so I have my work cut out for me this weekend. Love it! Peach beauty - so pretty. Not only are these DIY Geometric paperweights on my to-do list, but the blog itself is a new find for me and I LOVE IT. This Summer Mojito is calling me name. Have you read the new Rue? The prettiest bun tutorial ever. 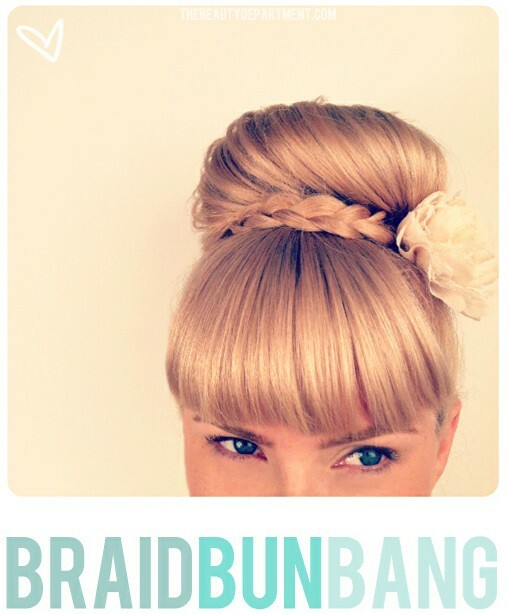 Totally loving that bun braid bang combo. Now can I pull it off?